Such a beautiful sunny day, March is turning out to be pretty gorgeous (in Bristol anyway). I hope it’s sunny where you are! This weeks favourite image belongs to Cate St.Hill. Her photography is just so minimal, perfect and beautiful. I love this shot, these two succulents in their white vintage containers, set against the white backdrop and that Ercol chair… in love! I’ve picked up one of those old ceramic marmalade pots several times in junk shops and flea markets, and have always put it back… now I really want one! On the hunt now, what’s the betting I’ll never see one again?! 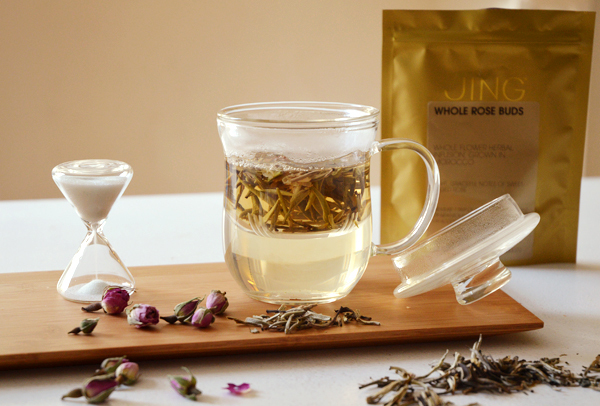 And that white tea cup is just lovely! Which brings me nicely to my news…. Yes, you could win this glass tea infuser mug, timer, bamboo tray and a set of loose leaf tea. 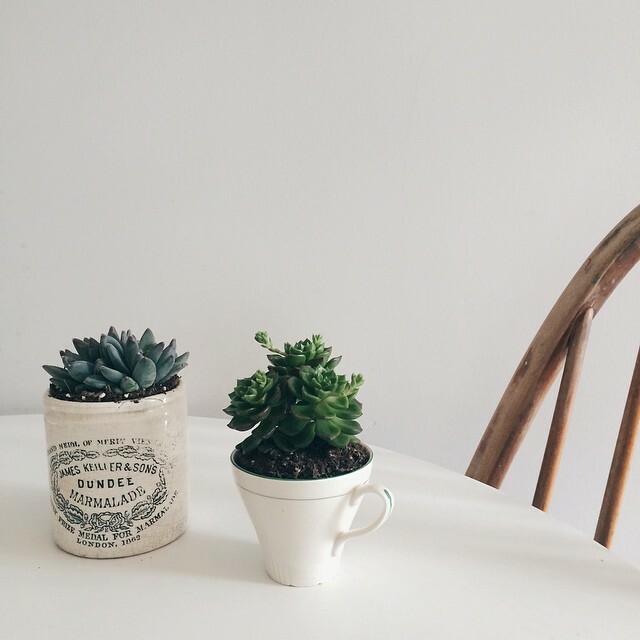 * Style your #natureinthehome photographs on Instagram with a cup of tea. Examples of which can be found on our Pinterest board. * Upload your photo to Instagram and tag it with #natureinthehome and @jingtea and @littlegreenshed. (you must also follow us both). Please note that only images with a cup of tea and items of nature styled in them will be entered into the giveaway. Winner will be announced next Thursday. Good luck! If you hop over to my Instagram feed you will find my #natureinthehome8 – such a stunning grid this week. Beautiful blog and beautiful Instagram!